I wonder what the traditional ebenistes would have thought about the furniture being produced today? As a marquetarian coming up through contemporary design education, more than a year ago I graduated from Buckinghamshire New University in High Wycombe, once the centre of Britain's furniture industry. I have now uprooted and moved across the Channel to France so that I may further my education at the prestigious École Boulle. 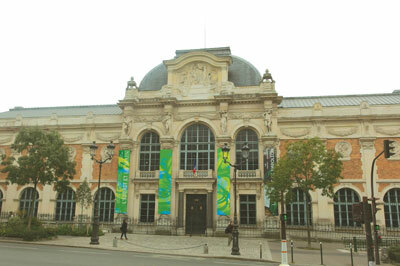 It was really no surprise to discover that Paris's leading Decorative Arts School sits amongst a wealth of craft-related history. An area most recognisable for its links to the storming of the Bastille at the beginning of the French Revolution in 1789, situated between the 11th and 12th Arrondissements of Paris, Le Faubourg Saint-Antoine is commonly regarded as an important trade and craft district, and has been from as far back as the 12th century. 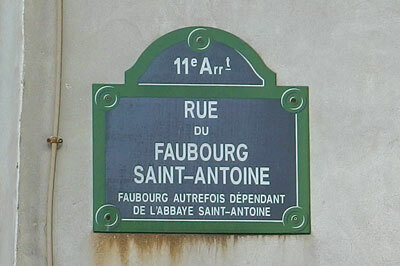 'Faubourg' quite simply means 'outside the wall' or a suburb as Saint-Antoine once was, and like all the other suburbs it was cut off from the inner city of Paris. 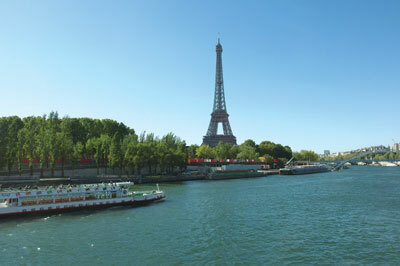 Its close geographical proximity to the River Seine meant that not only was it a desirable route into the east of the city but it was also advantageous for transporting wood in and out of the suburb by boat. 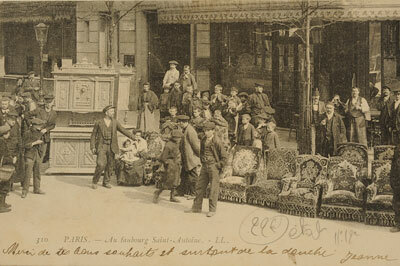 The area was dominated by artisan craftsmen and the turn of the 18th century saw over 500 carpenters and 400 ébénistes establishing the district's reputation for great craftsmanship; with clientele including the Royal Court for the likes of cabinetmakers André Charles Boulle and Jean Henri Riesener. 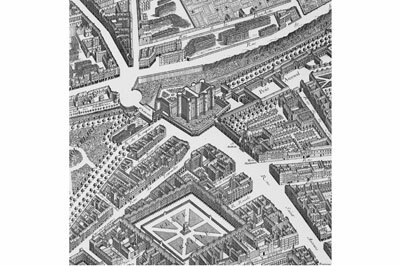 Faubourg Saint-Antoine was an incredibly prosperous district for both its flourishing order rates and the decree for 'Privilege of Liberty'. This act meant workers were exempt from tax, in the interest of both welfare and for the freedom of trade. 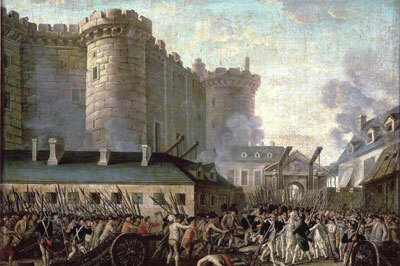 The 'Privilege of Liberty' was resorted to more and more by the State during the unrest of guilds in the 1770s. Guilds were temporarily abolished to build a bridge towards a more just system; this did not last however and by 1776 the guilds were reformed. The reformation did not come about without change, guilds no longer had the same level of control of workshops and were finally in a position to amalgamate skills to be able to make and sell a wider range of products. By the end of the 19th century guilds may have dissolved, however the district remained united by the traditions and subsistence needs of the crafts. The most interesting transformation that took place during the reform of the guilds were the rights given to women. After 1777, a widower could obtain permanent authorisation to maintain her husband’s business. Women were recognised as a powerful and important workforce and reformed membership allowed women to join. However, recognition as a gender in its entirety did not acknowledge rights to power or authority as individuals. During the 20th century, the number of ateliers began to plummet; small workshops could not compete or thrive, up against industrialisation and standardisation. 'Handmade' became less desirable and styles quickly went in and out of fashion. 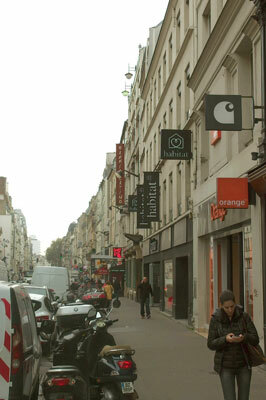 Although some artisans still remain, the high living costs of Paris make running a workshop fairly unviable. The landscape itself is quite unrecognisable as its former self; much of the area has been reconfigured and redeveloped. The craft guild system is a medieval concept that related to all trades and crafts. A guild was essentially a professional association that worked under a hierarchical order and in some respects guilds are regarded as a precursor to trade unions. Guild membership was compulsory to be able to work within a craft in most major towns and cities. 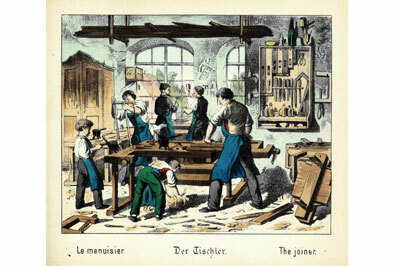 Traditionally in France, guilds for joinery and cabinetmaking were termed as Corporation Des Menuisiers-Ébénistes. There are a number of factors that saw the decline and eventual abolishment of guilds worldwide, much of which was to do with the demand for free trade laws. Guilds were essentially divided up between those with affluence and those with nothing, making trade incredibly difficult for the common man. It was also argued that being bound to association traditions hindered technological innovation. The further craft moved into industrialisation, the more guilds lost their powers, particularly with patents emerging and often revealing trade secrets. In some respects, guilds still exist today but not with the same level of control over trade; within most crafts there are non-compulsory professional associations with paid membership that act as a network and accreditors. 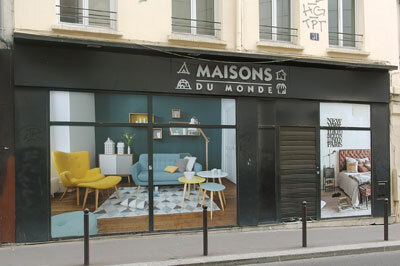 During its heyday, Faubourg Saint-Antoine was renowned for its production and trade of glass, brewed beer, furnishings and of course its pre-eminence in woodwork, with ébénistes leading the way. Ébénistes, were named such for the use of rich materials such as ébène - ebony. Following guild regulations, these furniture makers specialised only in veneered case furniture and were generally regarded as the most skilled of all furniture makers. Ébéniste is a term still used in contemporary French workshops. 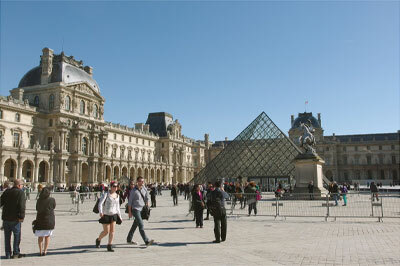 Some of the finest ébénistes could be found at the officially titled Manufacture Royale des Meubles de la Couronne; the Gobelins Manufactory was the Royal Factory of Furniture to the Crown, or at the Louvre - now Musée du Louvre or Louvre Museum - during the late 1600s for Louis XIV. 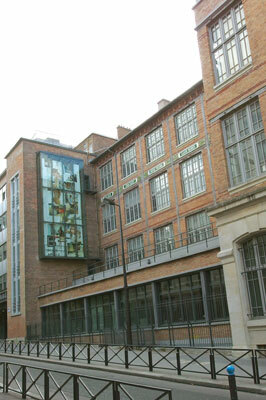 A stone's throw from Faubourg Saint-Antoine is the prestigious École Boulle, an advanced public school established in 1886. 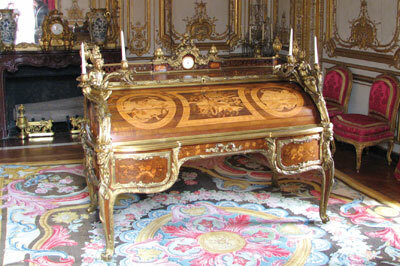 Named after the renowned cabinetmaker and marquetarian to King Louis XIV, André Charles Boulle, the school was set up for the study of artistic crafts and applied arts. Schools and universities such as this were a direct result of evolution from the guild days, an outlet so that traditional crafts would still be taught and passed through generations. The École Boulle was originally intended to train professionals in furniture – cabinetmaking, chair making, upholstery and woodcarving. 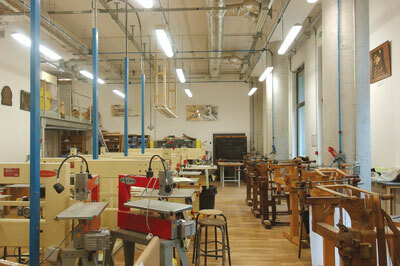 Additional courses were progressively added and further expansion took place after World War II when the school developed a series of spatial and interior design courses. Unlike Paris, which is divided up into suburbs that are notable for specific crafts, in England we tend to associate entire towns, cities or counties with particular industries, such as Stoke-on-Trent for pottery, Sheffield for steel and High Wycombe for furniture. These location-based crafts came about due to environmental advantages. While Faubourg Saint-Antoine has access to the waterways for transporting wood, High Wycombe is surrounded by The Chilterns woodland. Chair bodgers would work amongst the trees to gather timber and turn components before assembly back in their workshops. It is recorded that between the late 18th to 20th centuries Wycombe played host to more than 1,000 furniture factories and workshops. We did a quick question and answer session with some of our new Woodworking Crafts authors, see what they have to say!